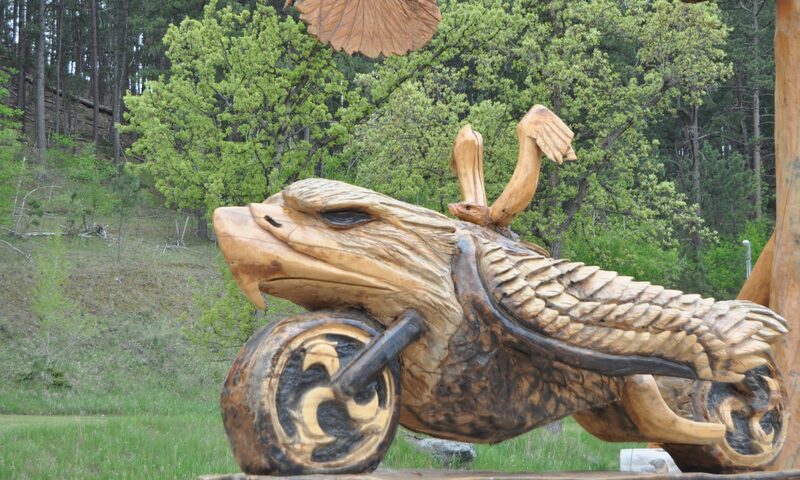 Nestled in beautiful Keystone, South Dakota, Jarrett Dahl uses his chainsaw to carve bears, eagles and other beautiful works out of native Black Hills pines and other woods at his shop and gallery. Browse the site to get to know Jarrett and his work, and be sure to stop by and visit the gallery where Jarrett’s creations are displayed and for sale. Dahl also creates original carvings, so feel free to reach out for custom pieces just for you!